The bridge was first conceived around 2004 during the administration of Mayor Jane Campbell, who worked with lawmakers to secure a $4.5 million federal earmark to help pay for the project. At the time, planners believed that bridging the water between the Rock Hall side of the harbor and the west end of Voinovich Park would enhance the vibrancy of the area. I guess that’s good. But the harbor still is a dull place and underutilized much of the year. One other problem is that the bridge design, while practical, is underwhelming. (Much like our elected officials, some surely could argue.) The design looks like something kids would fashion out of an Erector set or a pile of Popsicle sticks. The city hopes to see the bridge, which is now projected to cost $17 million, completed in 2022. 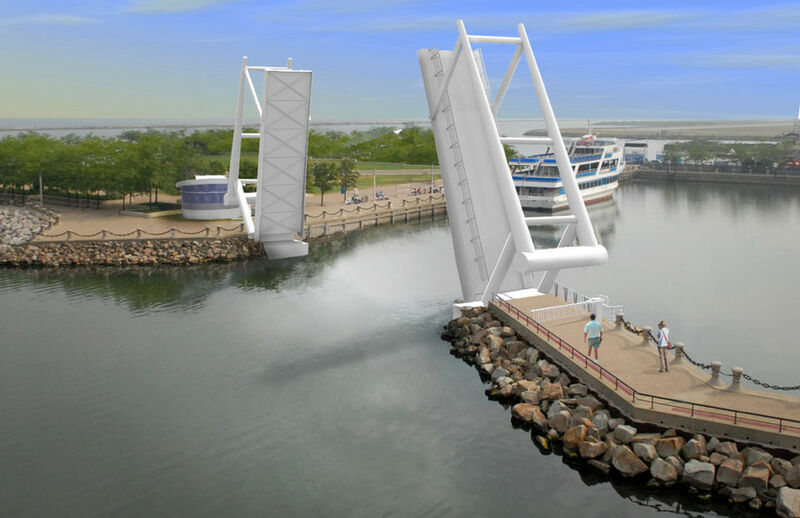 If the bridge is going to matter, people need more reasons to visit North Coast Harbor and the fabulous green space of Voinovich Park. Democrat Steve Dettelbach and Republican Dave Yost mixed it up at times during their bids for Ohio Attorney General. The recent announcement that Cleveland is moving ahead with a pedestrian bridge across North Coast Harbor is certainly welcomed by some, but the news is also a reminder of the incredibly slow pace of change that besets our town. The bridge was first conceived around 2004 during the administration of Mayor Jane Campbell, who worked with lawmakers to secure a $4.5 million federal earmark to help pay for the project. At the time, planners believed that bridging the water between the Rock Hall side of the harbor and the west end of Voinovich Park would enhance the vibrancy of the area. But the vibrancy planners envisioned for the lakefront has been as slow to materialize as the bridge.